The fabric is four way stretch cotton lycra. The sleeveless choli is comfortable, sleek fitting, and offers enough support to wear without a bra. The back is open with ties at the shoulder and mid back. 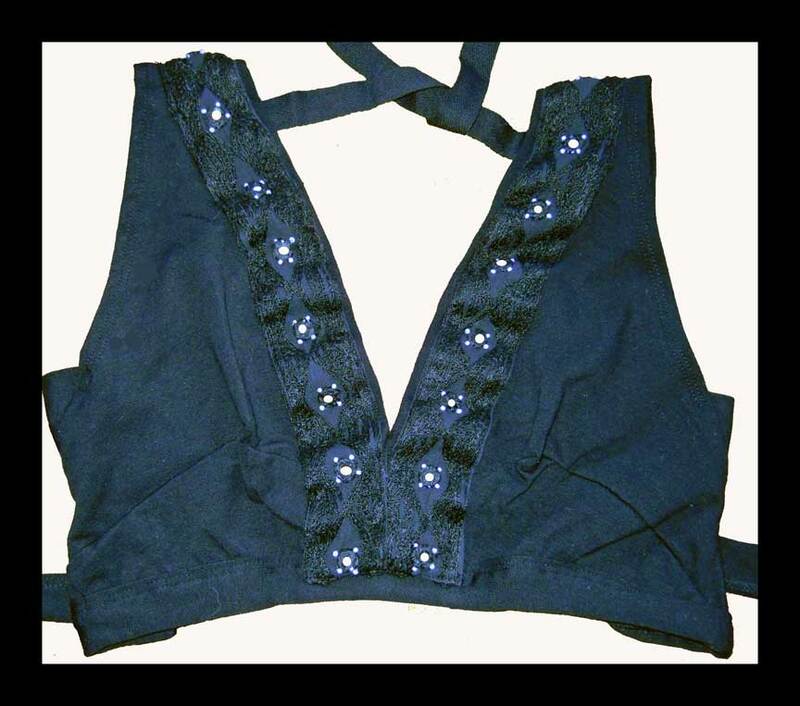 This choli is perfect alone or to wear under (or over) your short and long sleeved cholis to provide extra shaping and support!!!. 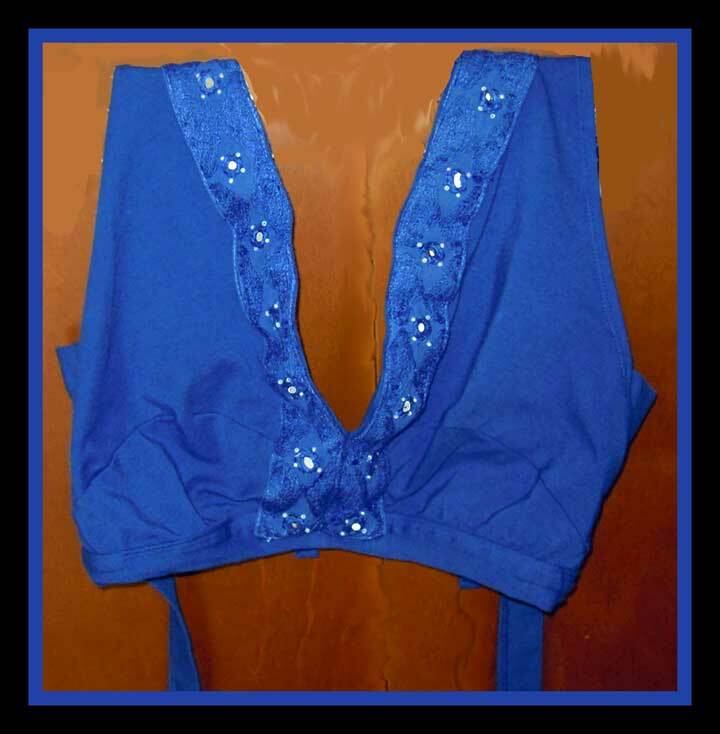 If you are using the sleeveless version as an under choli you may want to order one size smaller to provide maximum support and to keep it from peeking out. Colors; Black, White, are in stock and ready to ship. all other colors are hand dyed after I receive your order and generally ship within 7-10 days. The color swatches give you a good idea of the color you will get; just be aware that monitors differ and color shade can vary from dye lot to dye lot! 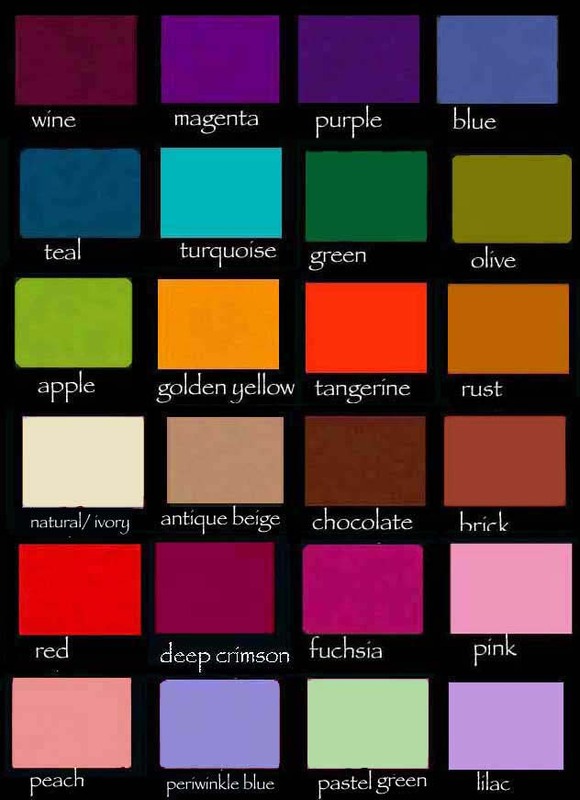 Click here for cotton colors wine, magenta, purple, blue, teal, turquoise, green, olive, apple, golden yellow, tangerine, rust, (natural not available in this style) antique beige, chocolate, brick, red, deep crimson, fuchsia, pink, peach, periwinkle blue, pastel green, and lilac. For more about hand dyed clors click here!